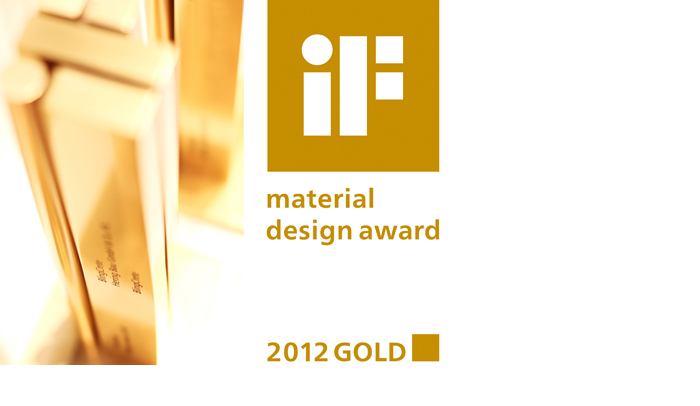 BlingCrete™ receives iF gold award for highly innovative material development and outstanding design achievements | BlingCrete . The Munich Creative Business Week (MCBW) provided the backdrop for the presentation of the iF awards at BMW Welt in Munich, held on February 10, 2012. BlingCrete™ received one of the coveted iF gold awards for highly innovative material development and outstanding design achievements. 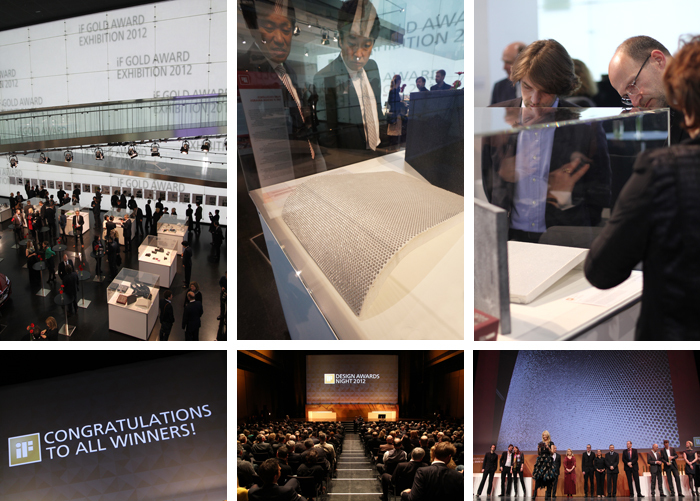 The winning entries of the internationally renowned design competition are also on show at the iF gold award exhibition at the BMW Museum (February 11-26, 2012) and will also be presented at the iF design exhibitions, including shows at the CeBIT (March 6-10, 2012), at Hamburg’s HarbourCity (second half of 2012) and in Haikou (Hainan Island/China, from May 2012 onwards).